This is a guest post by: Doug Johnson, PA who helped create North American Spine and manages all medical staff, in addition to training physicians in proper AccuraScope® procedure techniques. When you think of adding exercise in your life, images of long distance marathoners wearing short shorts and Arnold Schwarzenegger pumping iron may pop into your head. Fortunately, you do not need to do anything that extreme in order to enjoy the benefits of exercise. In fact, simply walking a mile a day can add years to your life. 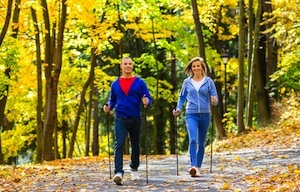 The general consensus is that every minute that you devote to walking will be returned to you later in life. Dr. I-Min Lee of Harvard University and Brigham and Women’s Hospital told CommonHealth that seven minutes of life are added for every minute that you engage in “brisk walking,” a pace of about 20 minutes per mile. The benefits of walking have also been compared to taking a very powerful pill, as it helps reduce your chances of experiencing illnesses such as cancer, diabetes and Alzheimer’s disease. Are you on the other side of 40 and fearful that starting an exercise program now will not do much good? Fortunately, there is absolutely no reason to believe that as the U.S. National Cancer Institute found that people who exercise after having reached that age tend to live two to seven years longer than would have otherwise been the case. For example, those who engage in brisk walking for 75 minutes a week – about 3.75 miles – will add an average of 1.8 years to their lives. Also, if the average person walks 450 minutes or about 22.5 miles a week, studies indicate his or her life may be extended by about 4.5 years. Your Back Will Thank You, Too! Over 80 percent of Americans will have to deal with back pain at one point or another. Luckily, walking more has also been found to help alleviate (and in some cases even prevent) back pain. UCLA conducted a survey of individuals who were suffering from low back pain. Some of them engaged in three hours of brisk walking every week while another group did exercises that focused on the lower back. The former group ended up enjoying less pain and distress. While walking has proven to boast a handful of health benefits, walking backward may offer even more. A focus group found people who walked backward for 15 minutes a day three times a week reported a significant reduction in the pain that they felt compared to prior to the study. Walking backward can put more strain on your calves, hips and lower back, so only try this if your doctor says it’s ok. So what are you waiting for? Walking a little more every day can add years to your life, and it can help those who are dealing with low back pain too. Common Health: Every Minute Of Exercise Could Lengthen Your Life Seven Minutes. 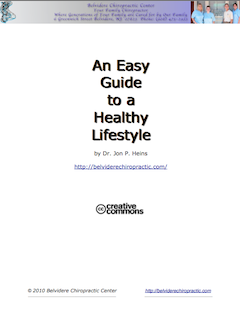 North American Spine: Back Pain & You—Easy Tips For Better Health eBook. BBC Health News: Walking more ‘would save thousands’ of lives in the UK. ShareCare: Walk Backwards to Ease Lower Back Pain. 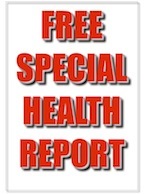 About Health: Walking Away Low Back Pain. HealthDay: Walk Your Way to a Longer Life, Study Says.